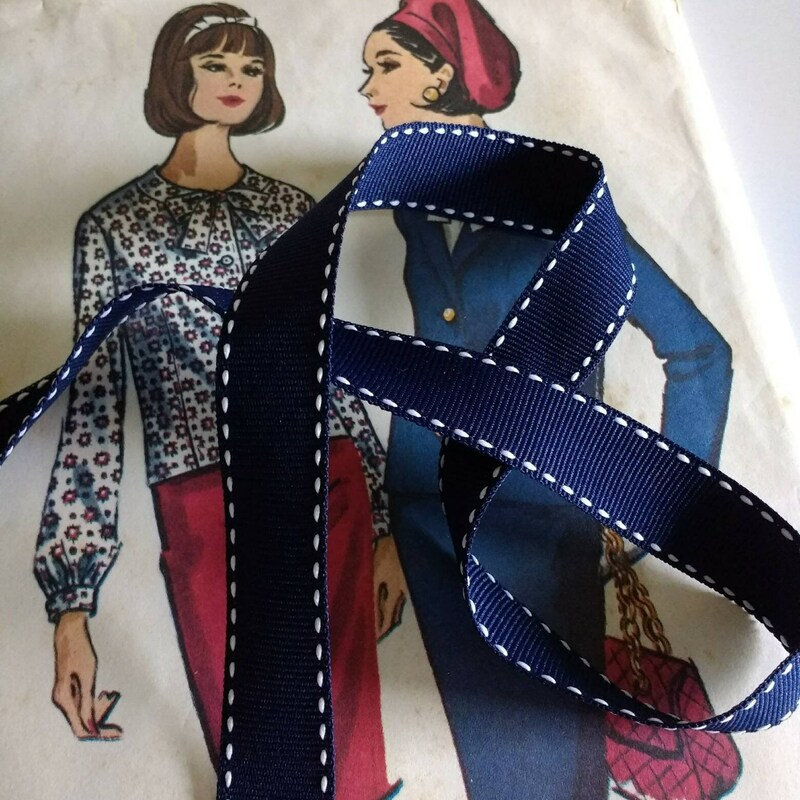 Navy and White Saddle Stitched Grosgrain Ribbon 5/8"
This lovely nautical ribbon is navy blue with white stitched borders that feel wonderful to the touch. You will definitely be pleased with the quality of this stitched ribbon! Please select the quantity you would like from the drop down menu. Green and White Striped Ribbon, Dark Green Grosgrain Ribbon 1.5"
perfect ribbon. I sew it on white sailor collar dresses. exactly what I needed. Fast shipping. Thank you! Red and Green Striped Ribbon, Classic Christmas Ribbon, Red Green Grosgrain Designer Ribbon 7/8"
Red and Green Striped Ribbon, Classic Christmas Ribbon, Red Green Grosgrain Ribbon 1.5"
Exactly what I wanted, and arrived quickly! Red and White Striped Ribbon, Classic Candy Cane Christmas Ribbon Peppermint Grosgrain 7/8"